Today, this is my prayer for you. 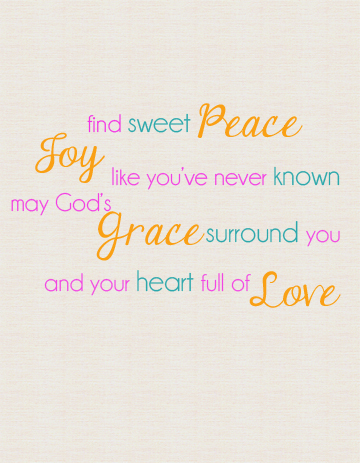 May you find God's sweet peace, joy like you've never know. May God's love surround you and may your heart be full of love.